Delta Apparel INC. said robust growth for its Salt Life brand and digital print business, DTG2Go, drove a 12.5 percent climb in sales in the first quarter ended December 29, along with a spike in profitability excluding non-recurring items. Improving sales at Soffe and continued strength in fashion basics in its activewear business also supported the gains. Sales rose 12.5 percent to $101.7 million. Sales in the Delta Group – including company’s DTG2Go digital print business, Delta Activewear business and Soffe – advanced 12.5 percent. Sales in the Salt Life Group – Salt Life and Coast – jumped 13.5 percent. Gross margin improved 20 basis points to 18.3 percent. SG&A expenses as a percentage of overall sales was 16.5 percent, generally flat with the prior year first quarter. Operating income was reduced to $117,000 from $1.7 million due to a $2.5 million charge taken during the quarter in connection with the resolution of litigation stemming from The Sports Authority’s March 2016 bankruptcy. Excluding the charge, operating income surged 49 percent to $2.6 million. The litigation expense caused Delta Group segment operating income to decline to $2.8 million from $4.4 million in the prior year first quarter. Excluding the expense, operating income improved 18.5 percent year over year. Salt Life Group segment operating income was $400,000, up 58 percent. Net losses were cut to $1.1 million, or 17 cents per share, from $10 million, or $1.37, a year ago. Excluding the Sports Authority charge and tax expense of $10.6 million associated with tax reform legislation in the year-ago period, net earnings jumped 75 percent to 14 cents a share from 8 cents. On a conference call with analysts, Robert Humphreys, chairman and CEO, said the Delta Group segment results were led by 250 percent sales growth at DTG2Go. Humphreys said DTG2Go’s production capacity now exceeds 70,000 unique prints a day and also differentiates itself from the rest of the market through its integration with activewear’s vertical manufacturing platform and low-cost sourcing. More geographic expansion plan is set for this year that will facilitate one to two day shipping to essentially all U.S. consumers and one day shipping to about half. Growth potential is seen across traditional screen printers, promotional product providers, brick and mortar retailers, large brands and others outside of the DTG2Go’s traditional e-retailer channel. In the activewear business, more growth was seen in its Catalog business, which services a wide range of channels, including regional screen printers, promotional product suppliers and retail licensing channels and offers products ranging from core basic tees to more fashion and performance tees and fleece. Strong double-digit gains was again seen in fashion basics in Delta Platinum collections, which continue to become a larger piece of the overall Catalog sales. These higher-margin products have been bought in-house to take advantage of cost efficiencies, shorter lead times and faster replenishment. The FunTees private label business continues to expand, including direct to retail and leveraging other parts of the Delta Group platform, including the higher margin Catalog fashion basic products and the DTG2Go digital print capabilities. First half FunTees results are being impacted by the startup costs associated with the transition to new customer programs, including shifts to more youth and infant garments but growth and improved profitability are expected to arrive in the latter part of the year. Humphreys said Soffe has opportunities for growth across the business, including “some exciting new opportunities” in the military channel, with new programs involving the brand’s iconic shorts line, as well as opportunities to expand door count with regional retailers. Double digit growth was seen on Soffe’s B2B and B2C websites. Soffe’s focus on cost structure enhancements and administrative efficiencies is gaining traction and the brand is still targeting low single-digit operating, fully absorbed operating margins over the next 12 to 24 months. In the Salt Life Group, the double-digit growth stemmed from increased sales of performance and other high price point products along with higher sales per door from wholesale partners and higher sales per square foot in its own Salt Life branded retail locations. Gains in women, youth and accessories are driving the gains and those categories are becoming a bigger part of the mix. In the DTC channel, Salt Life has seven stores, will open its eight in Orlando, FL this spring, and plans to add 12 more over the next three years. E-commerce sales for Salt Life saw another quarter of double-digit growth marked by improved site traffic, shopper conversion and average order size. States outside of Salt Life’s traditional south eastern market continue to make up the majority of the brand’s top 10 states from an e-commerce revenue perspective, underscoring potential growth for the brand and offering insights into new store opportunities. Salt Life’s e-commerce business is still projected to grow by more than 20 percent in fiscal 2019, reaching sales of about $5 million. In licensed areas, Salt Life Lager’s is expanding into several additional southeastern markets beyond the current 3,000 door placements across the state of Florida. The recent Salt Life women’s swimwear launch “has been encouraging” with the product to reach retail this spring. The third Salt Life Food Shack restaurant that recently opened in Fernandina Beach, FL “is having a fantastic start,” according to Humphreys. For the second quarter, Delta Apparel is looking for top-line growth to continue, supported by strong increases at DTG2Go and Salt Life. 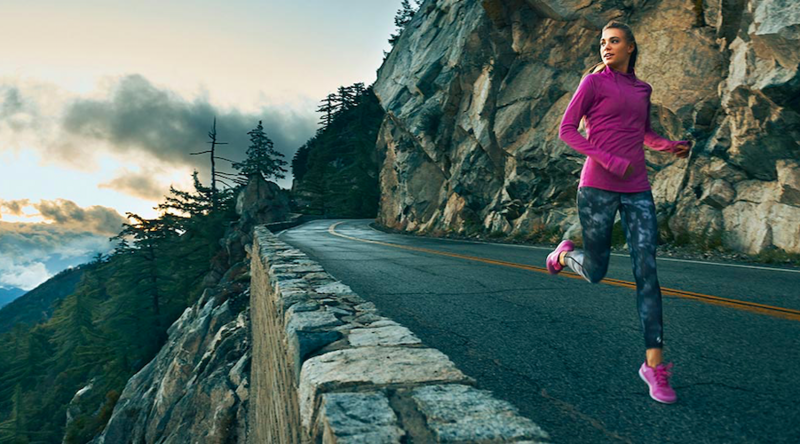 Sequential gross margin expansion is expected in the second quarter, but some retraction is expected year over year due to startup costs associated with the new activewear customer programs and the higher cost inventory flows. SG&A is expected to be in line with the prior year, resulting in operating margins lower than the prior year’s second quarter but stronger than first quarter operating margins. Profitability is expected to accelerate in the second half.